Now the site of Paul Kent Hall and other university accommodation. Some original buildings remain. On the left side of the pic, the road that has nothing built but a single house on it yet is The Slade. Now traveling right from where Dene Road connects, the first long straight row of houses going up is Bulan Road. The continuing down Dene Road you come next to Benson Road, then of course Dene Road continues via the turn as that final row of houses. The short row of houses that connects all three roads is Coverley Road and that ENDS at Dene road. Both Dene and Bulan roads continue out to Hollow Way. 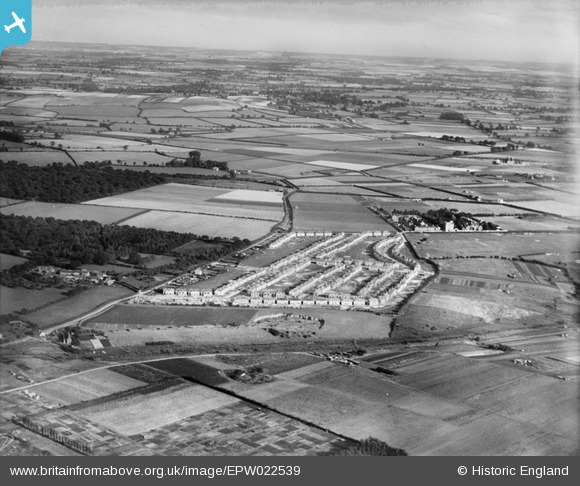 At this point in 1928 no houses or roads have been built yet for Glebelands, Lye Valley, etc. Hence the area for the Golf course to be is just out of frame marked by the boundary trees/bushes. Just amazing too see how different this area looks at its beginnings. No forest surrounding the area, instead farmland.